What type of siding do you want? What thickness do you want? Do you want builder grade or premium? What color, texture, length and finish do you want? TIP: You can save a lot of time and money by just doing a little home-work before calling a contractor for prices. Today the homeowner can buy vinyl siding with confidence that they will get a product that will improve his home for years and years to come. It is only reasonable for the homeowner to do a little research before calling a contractor for a price. You need to be able to talk intelligently to your contractor about the quality and style of the siding you are interested in. Buying vinyl siding can be made much simpler and easier if you follow a process with some basic steps before you start calling contractors to come out. We have organized a process that contractors use to help you decide the best vinyl siding for your house. Just follow it and you can easily sort through different products and pick out the ones you like best. Like buying anything, you must first decide what you want to spend on the project. Then go shopping and find the products that are in that price range. Same with vinyl siding, there are economy grades, super premium grades and you need to tell the contractor which grade you are interested in. If he knows you are interested in economy grade he will not bother to show you super premium grades saving a lot of shopping time. Any additional carpentry work needed on the house. If the homeowner gathers this information before he calls the contractor the first meeting will go much smother and avoid a lot of guess work and confusion. As you complete each step you will gather the correct information needed to allow you to buy the very best siding for your house at the very best price. And it will make the buying process much more pleasant. By writing down on paper the vinyl siding products that you have researched and picked out for your house, both you and the contractor can use those notes to get you the very best products and at the very best price! It also avoids a lot of confusion. Step One: Choose the vinyl siding types you like? 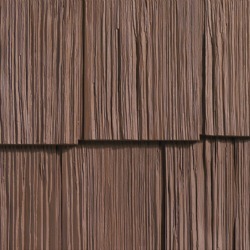 *There are many more but these are by far the more popular siding types. For more information on the Types of Vinyl Siding...click here. First thing you need to do is go buy a small notebook or get several sheets of paper and staple them together. This will become your 'project workbook". This is where you will write down all the information about the different vinyl siding products that you see that you like and think may look good on your house. Just like buying a car, your must look at a few different makes and models and make some notes about each one before purchasing. This 'project workbook' will be your 'go to' source as you check out different manufacturers and their products, different features and prices. Take your workbook with you to the different home improvement stores in your area and start looking at the different brands. Write everything down. Take pictures with your camera or phone so you will remember each one. Having all this information at your finger tips will help you in choosing the very best vinyl siding for your house. The reason you want to start a notebook with all your information written down is because as you look at different products, some will have lifetime warranties and some won't. Some will be insulated and some aren't. You may look at three different board and batten vinyl sidings at 3 different home improvement stores and by having all the information at your finger-tips (written down in your notebook) you can easily pick the siding with the best all around features. First Make a Budget: What Would It Cost? The number one thing you first want to ask yourself is "What would it cost to install new vinyl siding on my house? And can I afford it? But before you can figure out what it would cost to have vinyl siding installed on your house you must do a little homework, gather a little information to find the siding that is just 'right' for your house. Every house is different, we live in different parts of the country, hot, cold, windy, sunny or rainy. Different sidings for different areas. And like all other products, vinyl siding comes in many different price points from a couple dollars per square foot to over $10+ per square foot. So when you ask a contractor for a price he is going to say, 'for what type of siding'? Divide your project notebook into key headings that you will need to do a little research on. Page One: Make a Budget. How much vinyl siding will you need to buy? Go shopping and look at what you have picked out. How to talk to a contractor, questions to ask. How to pay the contractor. Make a budget before you do anything else. Even before you go shopping. Why? Because when you are ready to go shopping, you will want to buy the very best vinyl siding that your budget will allow. Vinyl Siding comes in several different qualities or grades. Usually the thicker the vinyl siding the better the quality. And the higher the prices. The better grades of siding will last longer, will look better installed, and their colors will stay true longer. Economy vinyl siding runs about $3 - $4 per sq ft. Premium grades of vinyl siding runs $7 - $10+ per sq ft.
Vinyl siding is sold by the square foot. So you need to know approximately how many square feet of siding you need to buy. Measure your house and figure square feet. If you need approximately 1,500 square feet of siding for your house, just run the numbers from economy siding to premium siding. Your budget will fall within these two ranges. This will tell you which grade of siding fits your pocket book. Making a budget will get you a ball-park of how much money you are going to spend. Keep in mind that the price of the vinyl siding is only one of the costs associated with installing vinyl siding on your house. 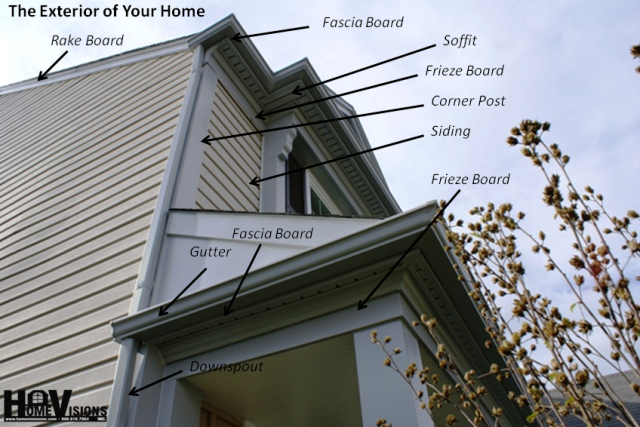 To review some of the items that actually go into a siding job, click here. Generally the labor cost to install vinyl siding on your house will be about the same whether you choose economy or premium grade. So you always want to choose the very best siding that fits your budget. How Much Vinyl Siding Will You Need? If you call any contractor and ask him what are his prices to install vinyl siding, he will first ask you 'how much vinyl siding are you talking about". So before you call anyone, figure out how much vinyl siding you are going to need. So how do you do that? Go outside and measure your house! It's easy. Measure your house to come up with the number of square feet of the exterior walls. Vinyl Siding is sold by the square footage. Often called 'squares'. Once you know how much vinyl siding you will need, make a note in your workbook, I need approximately 1,500 sq ft of siding. If you need 1,500 sq ft and your budget will allow you to buy a premium brand in the $7 - $10 range, that narrows down what you will need to look for thus saving you a lot of time. This just makes buying so much easier. Now you can compare different brands and compare their prices apples to apples. This allows you to go shopping and pick out the very best types and styles that fit your budget. How big is your house? The size of your house will determine how much siding you need to buy? Is is a ranch or a two-story home. Two story home's need much more siding. Pick out several types and styles that you like. Before you buy vinyl siding look at a few of the different types and styles to see which one or combinations fit your house and neighborhood and geographic area. Example; if you live in the north where winters are harsh and long, you would certainly want to look at insulated vinyl siding over non-insulated siding. If you live along the coast you would be interested in vinyl siding that is rated for high winds and has UV protection built-in. Even if you live in the South where you have long hot summers, insulated vinyl siding should be considered in order to help reduce energy costs. 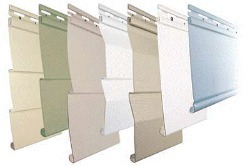 * To see more information on insulated vinyl siding click here. Siding that runs across the house horizontally from end to end. Siding that runs up and down or vertically in different widths. Small 'shingles' or 'shakes' that look like Cedar are attached. Each of the three vinyl siding types will have several different profiles and textures within it. Each come in smooth finish or wood-grain finishes. Each come in different widths and lengths. And all come in a wide range of colors. Some come in insulated or non-insulated. Pick out several sidings that you like and think will look good on your house. Once you have picked out one or two styles it is easier to buy vinyl siding that fits your house. Go to your local home improvement stores. Go to several local home improvement stores in your area before you buy vinyl siding. Look at the sidings they carry. Ask the store employees questions, take pictures and bring home all the printed material they have. Read the brochures about the different thickness, colors, textures, warranties and prices of each siding. Make notes. Pick out a few, remember you can combine different types and styles together to create many different combinations. Be sure to be writing all this information down in your workbook. Cut out pictures and make plenty of notes. Bring home all the printed brochures and go through them. Cut out and past what you like into your workbook. Warranties 5 yrs to 50+ years. You will want to compare several different brands and choose the one that you think will look best the on your house. Be sure to bring all the printed material back home so you can review it later. Once you have picked out several products that you like, you will want to go over the selections with your contractor and ask his opinion on each brand or style. Remember he is the expert, he does this every day and knows about different products and how they perform. He will be glad to give his recommendations and he may be able to save you a few dollars too! Other costs go into any siding job. There is the cost of the siding. Then there is the cost of putting the siding on the house. That is extra. Remember that the actual cost of vinyl siding is only part of the cost to install vinyl siding on your house. The other part of the cost is the work the contractor will have to do to make your house ready to install vinyl siding. You need to go outside and walk around your house, preferably with your wife, and look closely at the exterior of the house. Bring your workbook and phone camera. Talk lots of pictures. If you have problems on your house you can't just cover them up! Someone needs to fix the problems, either you can do it or you can pay the contractor to do it. A contractor will not install siding over problem areas! Make a list of all the items around your house that needs to be fixed or repaired. Take pictures and put into your project workbook. Before you can install vinyl siding on your house you must first fix all the water damage, termite damage, rot or other problems. You can't just cover them up! And contractor will charge you extra to fix the problems. It is very important to go over and talk to the contractor about each an every one of these problem areas with each contractor you talk to. 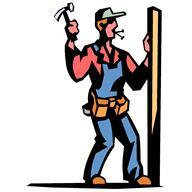 Have the contractors tell you how they will fix or repair each item and how much they will charge you to do it. This is a very important thing to do when you buy vinyl siding. You do not want to get half way done with your project and have the contractor stop his work and come to you for more money to fix things that you did not go over with him. What in the world is an add-on? Along with the vinyl siding, you will need trim for corners, doors, overhangs, ficia and soffit. You may also need new gutters and additional insulation or insulated vinyl siding. 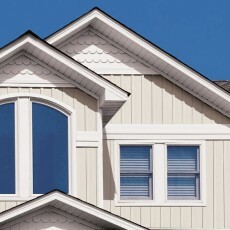 For more information on Vinyl Siding Trim and Accessories click here. How do you find a good vinyl siding contractor? Where in the world would you even look to find one. Well first look at places where they sell siding. Home improvement stores lumber yard and yes google. Most home improvement stores will have bulletin boards around the area where they sell siding. Local contractors will sometimes pin their business cards to these boards. Always ask one of the salespeople you are working with to suggest a contractor. They see the different contractors all the time and know who's who's in the siding trade. Finding the right contractor is a process. There are important questions you need to go over with him. Contractors will need to know how much labor will be involved in your project. So they are interested in the following items to determine if they will have to include any of them into your price estimate. Removing old existing siding and hauling it to a dump. Repairing any damages caused from weather, rain, rot, insect or termites or just walls that are not nice and straight. Installing any new framing to existing walls to hang new siding on. Adding new insulation to walls or under new siding. Repairing damaged soffits and corners. Repairing any damaged window and door frames. If you call a 5 different siding contractors and ask them, 'how much will it cost to install vinyl siding on my house', you will get 5 completely different prices, and they will be thousands of dollars apart. Now you have a headache and you don't know how to compare apples 2 apples. Do you just pick the cheapest price. Right??.....Wrong!! ??? The reason that will not work is that each contractor will give you prices on siding products and materials that they prefer to use. And, in addition, each contractor could use a different installation methodology to hang your siding. So 5 different contractors will use 5 different products, all with different prices, quality and installation methods. So how do you know which product and installation method is the best for your home and which price is the best?? You need to do a little front end research and make yourself a project workbook to keep all the information in. We call this pre-buying process PRE-MODELING. You need to pre-model before you re-model. Premodeling is simply gathering all the facts before you go shopping. Just like you would if you go buy a new washing machine or lawnmower. Once you have all the facts in your hands, it makes shopping and talking to contractors much easier. Then you can talk intelligently to the people who will be trying to sell you something. A contractor needs to know is how much work will be involved in putting the new siding on your house. So the contractor needs to know what he is going to install the new vinyl siding over. What is on your house now, and will it have to be removed or modified? If you have old worn wooden or aluminum siding now, you will most likely want to remove and dispose of it. If the contractor has to remove old existing siding, and haul it to the dump, there will be extra costs for that. Also, if you have brick or stucco, there may be additional supports put onto the walls to hang the vinyl siding on. This too will add to the cost of installation. And of course, the better the skills of the installers the higher you will pay. All homes have some problems. Either damage from rain, and weather, or rot, or termite damage. Even walls that are not straight and plumb will need to be fixed. It is these little extras that really can add up to a considerable sum of money. You should understand that if you have these problems you will need to add additional funds into the budget to fix them. Each one of the problems you find needs to be talked over with the installers to prevent misunderstanding of what should be or will be done. Contractors will need to know how much labor will be involved in your project. 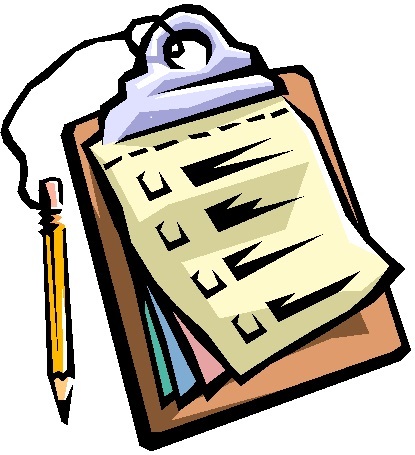 So they are interested in the following items to determine if they will have to include any of them into your price estimate.